From 1st April 2019, letting and property management agents must belong to an approved CMP scheme. The agent must also ensure the level of CMP membership provides enough cover to compensate clients for the maximum amount of client money that they hold. Local Authorities will have powers to impose fines of up to £30,000.00 on agents who do not belong to a scheme beyond this date. They can also impose fines of up to £5,000.00 on agents who fail to display correct scheme membership details on their website and within branch. Introduced to raise the standards of living for tenants. Landlords have no new obligations as part of this Act, however, landlords must meet existing responsibilities with regards to property standards/safety or risk legal action being taken against them by their tenant. Any privately rented home must be fit to live in at the start of the tenancy and throughout. This includes common parts of a shared building. The landlord is considered responsible from the point in which a hazard is reported to them by the tenant. However, if the hazard is in the common part of a shared building (eg in a HMO or block of flats), the landlord would be immediately liable. The landlord has a reasonable amount of time to deal with the hazard. If a landlord is aware of a hazard and is not actively attempting to remedy it, the tenant can take their landlord to court. The rules apply to all new tenancies including renewals from 20th march 2019. 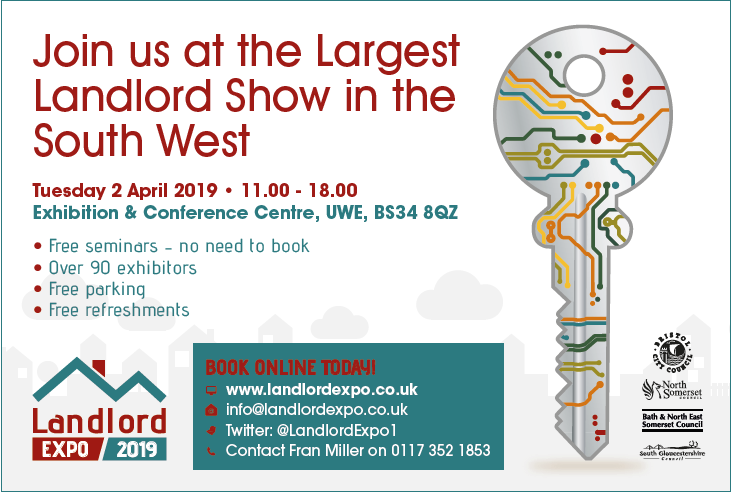 Existing tenancies which were periodic before this date will need to comply from 20 March 2020. – the landlord hasn’t been able to get consent e.g. planning permission, permission from freeholders etc. There must be evidence of reasonable efforts made. Who enforces this? The legislation allows for the tenant to bring court action directly without first involving the local authority. A judge will decide whether a property is unfit for human habitation based on evidence. The judge will make their assessment based on repairs, stability, damp, internal arrangement, natural lighting, ventilation, water supply, drainage, facilities for food preparation and hazards (under the Housing Health and Safety Rating System). It is hoped that this Act will level the playing field for good landlords who maintain homes fit for human habitation by ensuring they are not undercut by landlords who persistently flout their responsibilities. Gillian Kerr (SWLA Office Manager) attended the meeting on 13th March 2019 hosted by Bristol City Council. The meeting included a licencing update from all West of England Local Authorities, legislation updates (Homes Fitness for Human Habitation 20/03/2019, Client Money Protection compulsory insurance for letting/managing agents 01/04/2019, Tenant Fees Bill 01/06/2019). Trading Standards at Bristol City Council being the lead authority for the Tenant Fees Bill. MEES enforcement was discussed. Also the findings of the MHLGC English Private Landlord Survey. Making Tax Digital; expected to affect the majority of landlords by April 2020 (date to be confirmed). With the Government overhauling the housing complaints system, a housing redress scheme membership may be on the cards for all landlords. Items discussed included energy efficiency ratings in the private rented sector; the next year will see many private rented properties having to be brought up to at least an E rating. Since 1 April 2018, new tenancies, renewals or extensions require the property to have a minimum “E” energy rating. From 1 April 2020, all existing tenancies with a valid EPC must comply. From 01 April 2019, landlords will be expected to make energy improvements costing up to £3,500.00 (including VAT) to bring properties up to the required energy efficiency standard. Prior to this date, improvements would have to have been made only if there was no cost to the landlord. If there were costs, the landlord could register an exemption. (The cost cap includes monies spent since 01 October 2017 on energy efficiency improvements). Exemptions can still be registered in certain circumstances, including if £3,500.00 is spent and the property still falls below the expected standard. RSM UK Consulting presented their research findings on behalf of the Department for Business, Energy and Industrial Strategy. Compliance with the new rules on septic tanks is required by 1st January 2020. Homeowners will need to upgrade their drainage systems in order to avoid fines from the Environment Agency. The rules prohibit the discharge of waste from septic tanks into watercourses due to the detrimental impact it can have on the environment. Rules originally came into force 01 January 2015 applying to new septic tank systems but from January 2020 they will be rolled out to include all systems – old and new. 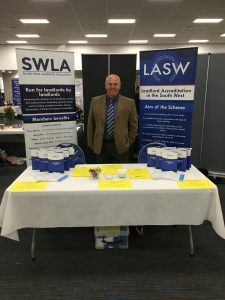 Wednesday 27th February 2019, SWLA’s Vice Chair attended the liaison group meeting at Torquay Town Hall. Items discussed included the Extension of Mandatory HMO Licencing and it’s progress to date. Also a performance review and updates from police, fire and probation services. Further legislative changes were also discussed. Steve Lees (SWLA Chair) and Iain Maitland (SWLA Vice Chair) attended a Refugee Awareness Conference at Plumer House, Plymouth on Tuesday 26th February hosted by the Refugee Integration Service. Representatives from Path, Start, ODILS and PDREC were in attendance. The meeting was opened by Councillor Penberthy and the initial address by Matt Garrett (PCC Community Connections Service Director). Many discussions and workshops took place. There were over 100 delegates in attendance. Need your property back and unsure of what to do next? During the presentation we will take you through your options for repossession including the use of High Court Enforcement, the costs, timescales and necessary processes to help you make the best decision. Update on tax legislation affecting landlords. Today we have published our new Assured Shorthold Tenancy Agreement document. There are a few minor amendments to allow for the changes that are imminent such as the Tenant Fee Bill (01 June 2019) and mandatory 5 year Electrical Installation Safety Checks (date to be confirmed). The new AST can be found on the members area of our website for free download. The old SWLA Assured Shorthold Tenancy document (last updated October 2015) is still valid so can still be used for new tenancies. Moving forward, any new tenancies, please use the new revised document where possible. 14th January 2019 saw the 3rd and final reading of the Tenant Fees Bill in the House of Lords. Lord Bourne of Aberystwyth confirmed on the afternoon of 15th January 2019 that subject to the Bill getting Royal Assent, the Tenant Fees Bill will come into effect on 1st June 2019 for all tenancies signed on or after that date. Throughout the report stage amendments have been made; the deposit cap lowered from 6 weeks rent max to 5 weeks rent max for properties with an annual rent of less than £50,000.00. The Ministry of Housing, Communities and Local Government believe that the amendments ‘strike a fair balance between improving affordability for tenants whilst ensuring that landlords and agents have the financial security they need’. Creates a civil offence with a fine of £5,000.00 for first offence and civil penalties of up to £30,000.00. What is exempted form the banned list? Holding deposits, rent, deposits and charges for defaulting on the contract are all exempted however are subject to additional restrictions as part as part of the legislation. A lead local authority will oversee and police the new measures.